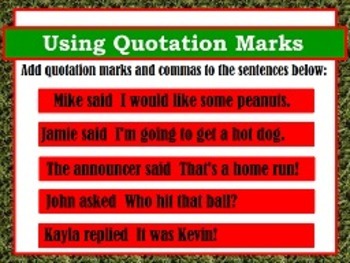 Commas & Quotes in Dialogue L.2c FLIPCHARTS and worksheets! 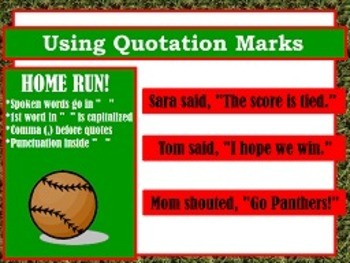 This packet was designed and put together to help the classroom teacher teach and practice the Common Core Standard: L.2c "I can use commas and quotation marks in dialogue". 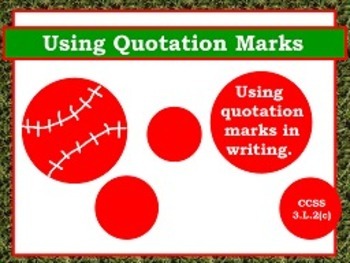 Flipchart 1: Covers the standard by showing how to use commas/quotes: Jack said, "Hi." Flipchart 2: Covers the standard by showing how to use commas/quotes: "Hi," Jack said. 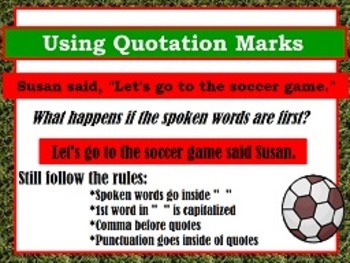 Flipchart 3: Covers the standard by showing how to use commas/quotes: "Are you cold?" asked Jack. "I am!" exclaimed Jill. The homework/practice pages are included as both word and pdf documents for your convenience.